As noted on the main project page, one approach to organizing data is a traditional database. 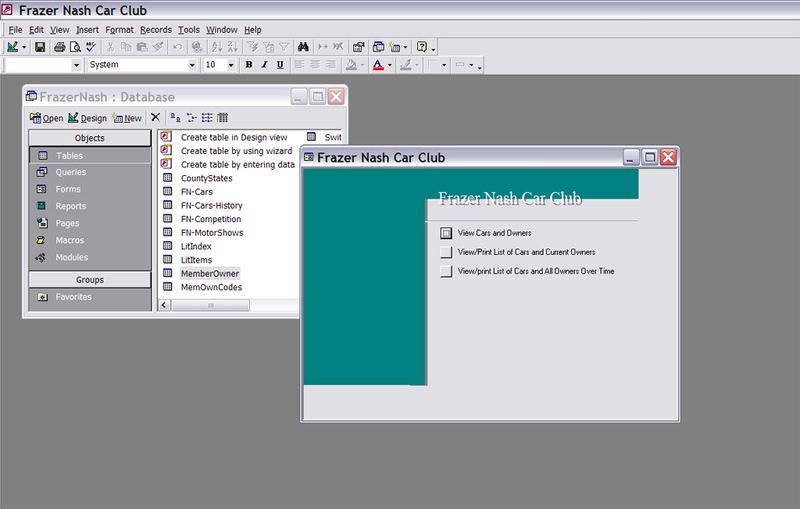 The Microsoft Access database program was used to create two trial databases, using Frazer Nash Car Club data (redacted) of members and Frazer Nash cars. One goal/feature of a relational database is to avoid duplication of data. The table structure above does not completely meet this goal, but can be further improved. In the current Access database, not all these tables are used. For example, the "CountyStates" table has all counties in England, states in the US and districts in Australia and Canada, intended to be a "lookup" for better uniformity and efficiency, but this function is not yet used. Improving this database by adding queries, forms and reports to the main menu - or sub-menus - will continue. However, both of these databases should be viewed as "roadmaps" for thought and future work - by others! 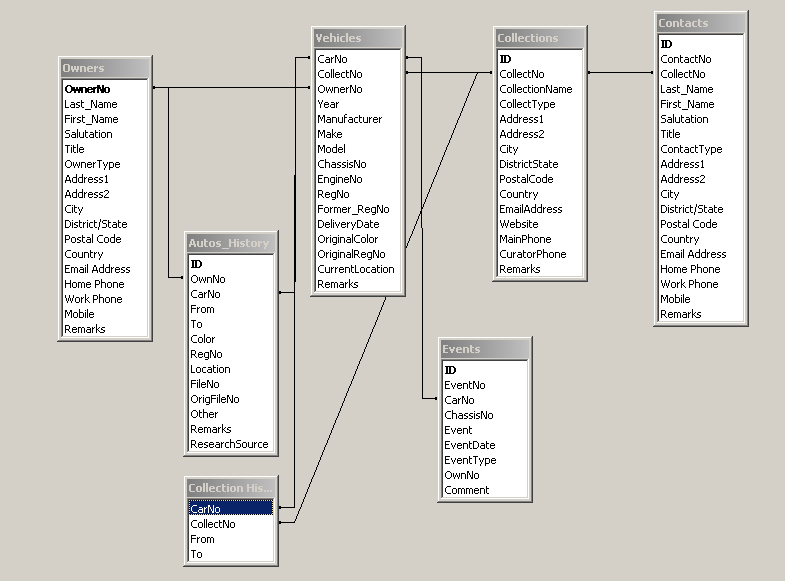 These databases were created by me, truly not a database developer, using Access 2000, a old version. They are intended as starting points or inspirations for a club, organization or developer to help better preserving automotive history. However, the real value of any database is the actual data. By providing a structured - and perhaps collaborative - method to record this data, research should be encouraged and history better preserved. 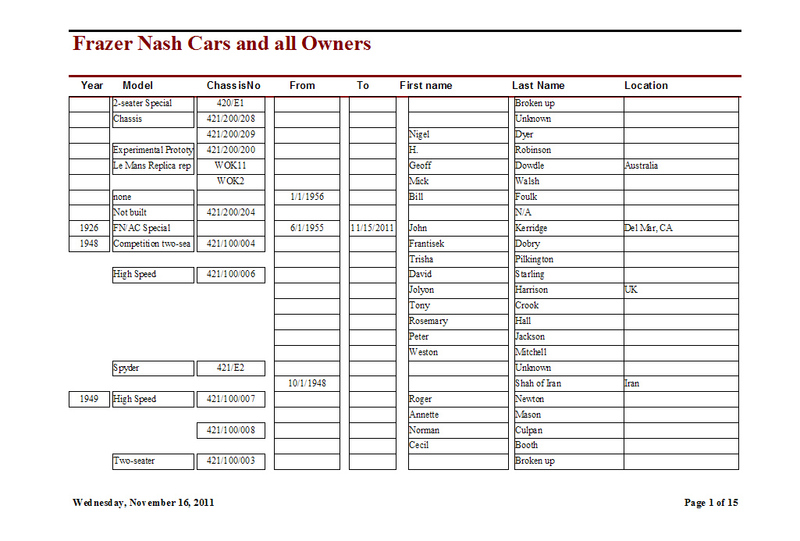 Discussions with car club/make registrars to understand needs and desires. 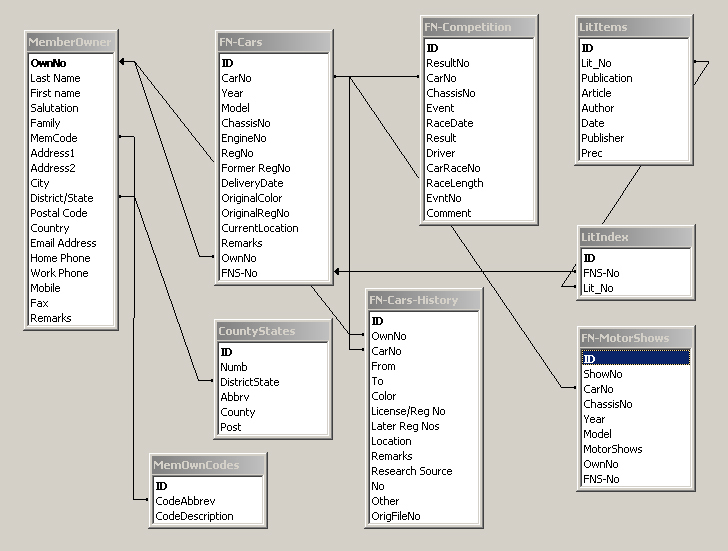 Improving the database structure, queries and reports. 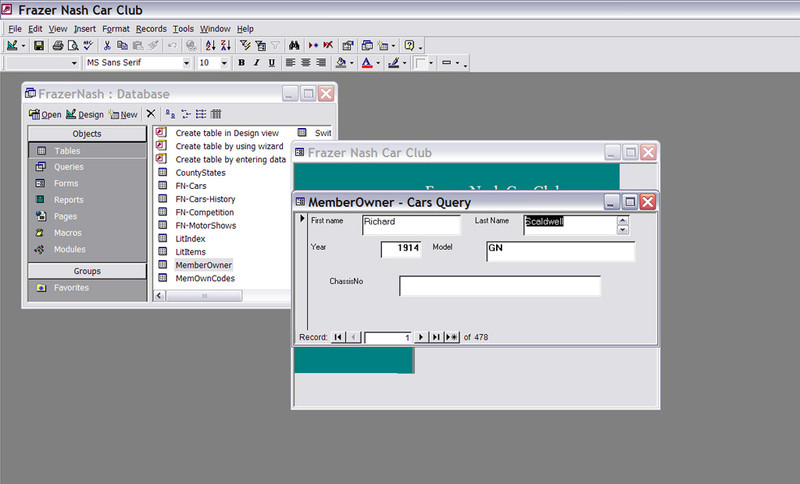 Transitioning the Access 2000 databases to an open-source program, such as SQL. Providing a web (Internet) interface to the database for multi-user search or data entry. If you would like copies of these Access databases, send me an email with your address and I'll send you a CD. If you send me $2 for postage in return, it would be appreciated.